Earlier today Cooler Master, a leader in enthusiast desktop components has shown off a variety of cases with a wide range of styles and functions. Cooler Master’s newest cases have expanded on their aesthetic design and also show how far the technology behind case manufacturing has evolved over time. The COSMOS, H-Series, K-Series, and others will be expanded with additional models, while the MasterCase SL600M marks the start of a brand new lineup. For Cooler Master’s newest cases we see entries in the famed Cosmos Series, as well as the newer MasterCase and MasterBox lineups. without much ado lets jump right in! 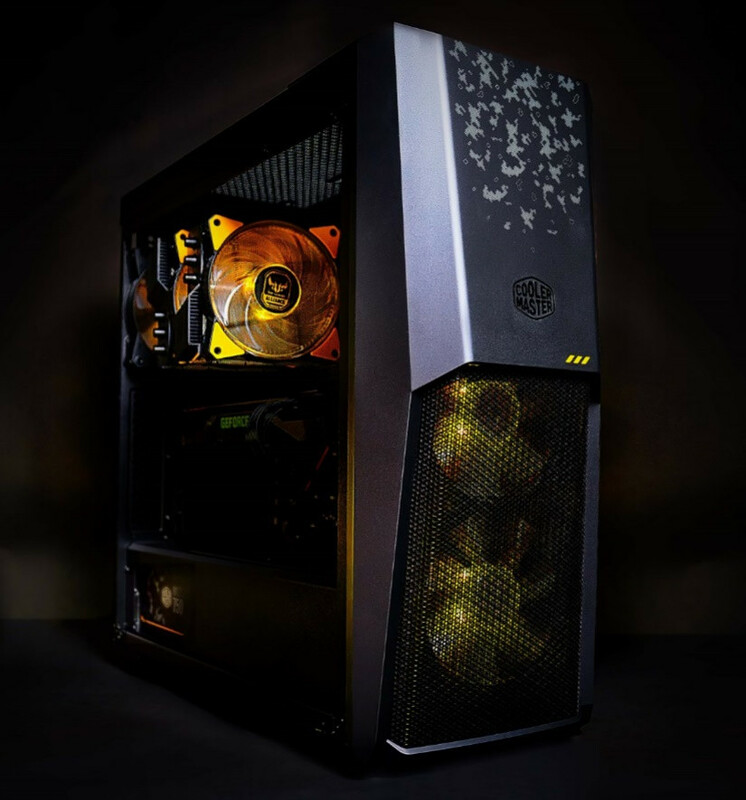 The Cosmos C700M is the CM Flagship case in their Maker segment. Not much is said aside from This new design brings together bold shapes to a soft and continuous surface. It will also use RGB (Big surprise) and have made design choices to display the addressable RGB lighting and expands the functionality of previous Cosmos cases. 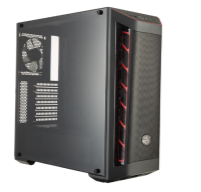 The MasterCase SL600M kicks off Cooler Master’s new SL series. Chimney-based heat regulation is an efficient way to blend together silent technology with gaming performance. The vertical layout of the SL600M intakes air on the bottom and exhausts air through the top panel. The use of aluminium was a design choice that enables the MasterCase SL600M to be a sophisticated workstation with the capability of being built for high-performance gaming. 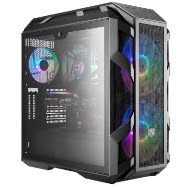 The MasterCase 500M is the top of the line of the H-Series offering many different options for front panel, a removable PSU shroud, cable covers and different configurations for radiator compatibility allowing you the builder to configure at will. This changes the way you think about your case, and allows flexibility for changing requirements you may have over time. 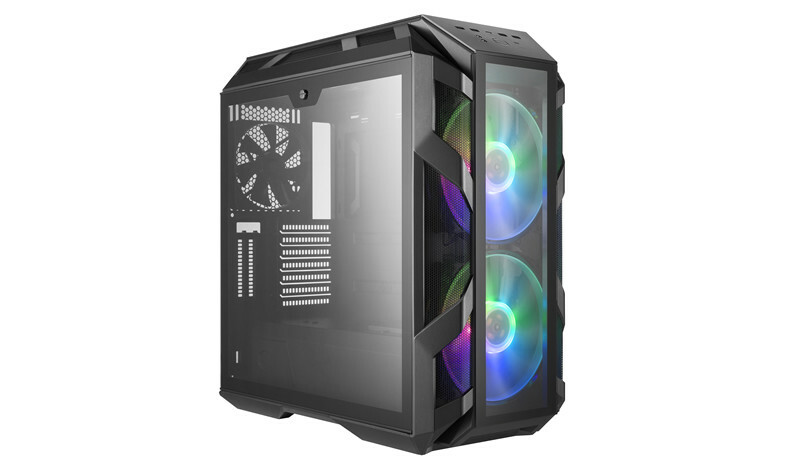 The MasterBox MB530P utilizes the aggressive intakes seen on the MB510L, MB511, and MB520, but employs glass on both of the side panels and the front panel. The application of glass was put in place to support the display of addressable RGB components included with the chassis. The racing spirit remains with the MasterBox MB530P but offers a few extra features. 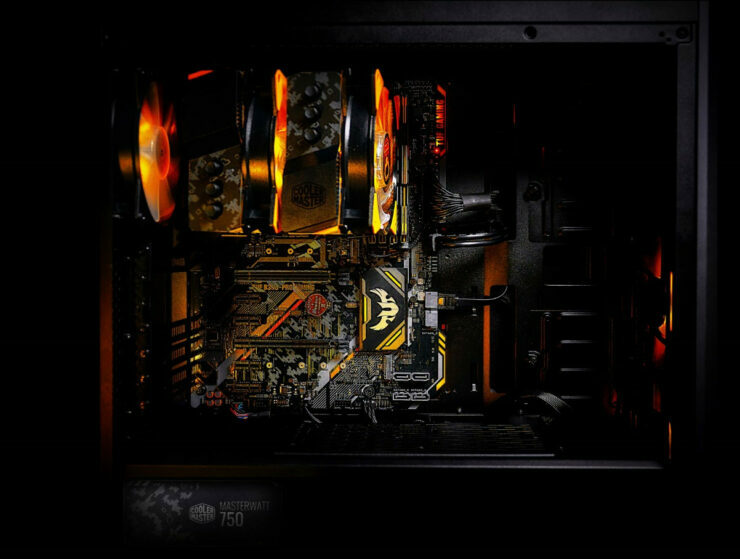 The front panel and side panel provide a clear view of the front fans and system configuration, while the side panel behind the motherboard is patterned tempered glass to hide the open side of the PSU. 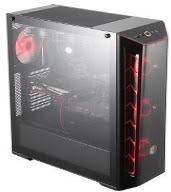 The MasterBox MB530P utilizes the same intakes seen on the MB510L, MB511, and MB520, but employs glass on both of the side panels and the front panel. The application of glass was put in place to support the display of addressable RGB components included with the chassis. The racing spirit remains with the MasterBox MB530P but offers a few extra features. The front panel and side panel provide a clear view of the front fans and system configuration, while the side panel behind the motherboard is patterned tempered glass to hide the open side of the PSU. It has been years since the original V series was released (I remember how much I wanted a V1000) and to date, the V1200 is the only platinum rated PSU in the V series ever to be released. Cooler Master says they will be releasing a new line of V series units with a platinum efficiency rating in at least three different wattage levels. The specifics are not yet available, but it has been indicated that multiple models in this new series will be available to see firsthand at Cooler Master’s booth during Computex. We will ask our staff on site for more information. Also, they have designed and manufactured their first power supply completely in-house, this is a rarity since most manufacturers use Superflower, CWT or Seasonic and simply rebrand or install their own features in the PSUs. This is very interesting and a huge leap for a company to take. We should keep our eyes out for any more information on it.